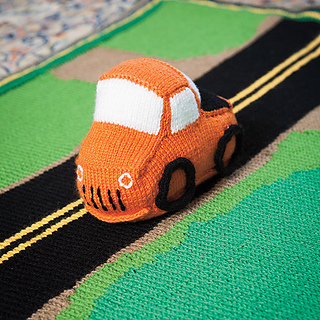 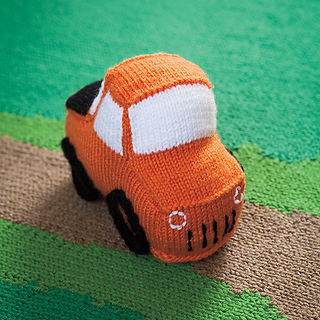 These soft squishy toys are just the right size for little hands to hold. 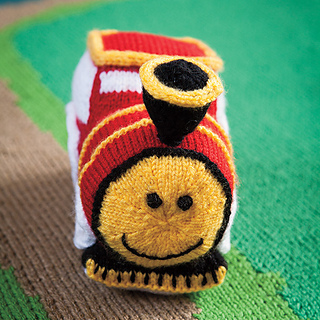 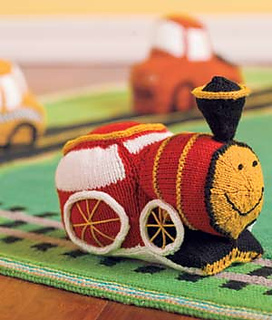 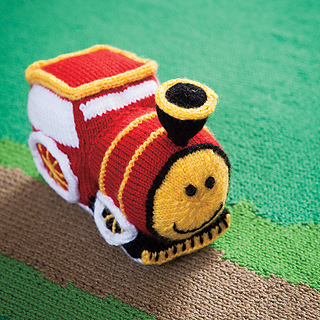 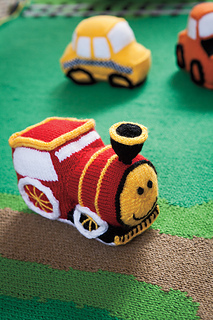 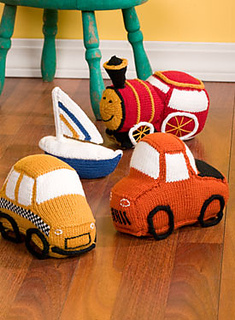 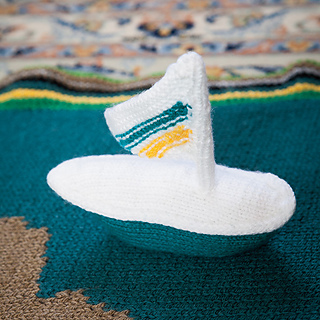 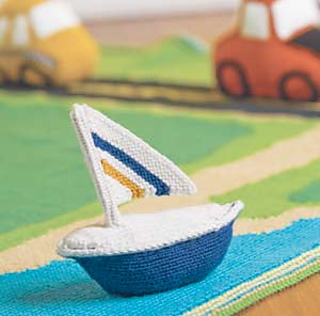 The set includes patterns for a choo choo train, sailboat, yellow taxi cab, and pickup truck. 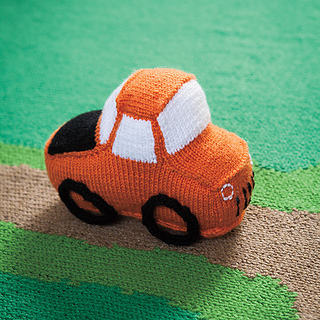 With machine washable Shine Sport or Brava Sport and no detachable parts, these vehicles are safe for young children. 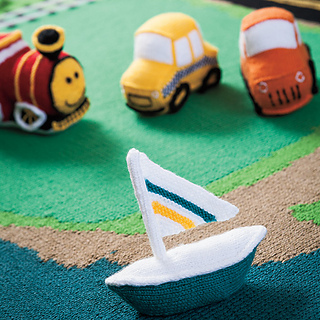 A Land & Sea Play Mat with road, train tracks, and water is available as a separate pattern.